This is the 27th weekly update containing links to selected articles, images, tweets and videos about opportunities—and challenges—for real estate investment and sustainable community development. Please note that some of the links may take you to articles that are behind paywalls. This is the 26th weekly update containing links to selected articles, images, tweets and videos about opportunities—and challenges—for real estate investment and sustainable community development. Please note that some of the links may take you to articles that are behind paywalls. This is the 25th weekly update containing links to selected articles, images, tweets and videos about opportunities—and challenges—for real estate investment and sustainable community development. Please note that some of the links may take you to articles that are behind paywalls. This is the 24th weekly update containing links to selected articles, images, tweets and videos about opportunities—and challenges—for real estate investment and sustainable community development. Please note that some of the links may take you to articles that are behind paywalls. This is the 23rd weekly update containing links to selected articles, images, tweets and videos about opportunities—and challenges—for real estate investment and sustainable community development. Please note that some of the links may take you to articles that are behind paywalls. This is the 22nd weekly update containing links to selected articles, images, tweets and videos about opportunities—and challenges—for real estate investment and sustainable community development. Please note that some of the links may take you to articles that are behind paywalls. This is the 20the weekly update containing links to selected articles, images, tweets and videos about opportunities—and challenges—for real estate investment and sustainable community development. This is the 19th weekly update containing links to selected articles, images, tweets and videos about opportunities—and challenges—for real estate investment and sustainable community development. This is the 18th weekly update containing links to selected articles, images, tweets and videos about opportunities—and challenges—for real estate investment and sustainable community development. Learn about me here. This is the 17th weekly Urbanexus Update containing links to selected articles, images, tweets and videos about opportunities—and challenges—for real estate investment and sustainable community development. Learn about me here. 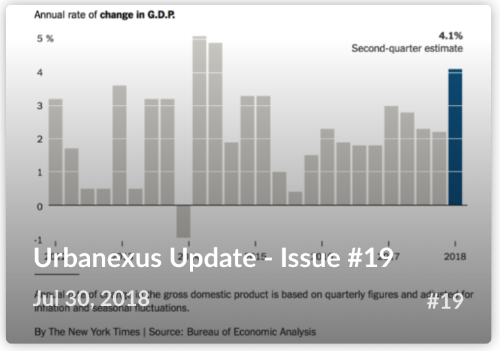 This is the 16th weekly Urbanexus Update containing links to selected articles, images, tweets and videos about opportunities—and challenges—for real estate investment and sustainable community development. Learn about me here. This is the 15th weekly update containing links to selected articles, images, tweets and videos about opportunities—and challenges—for real estate investment and sustainable community development. Learn about me here. Urbanexus Update #14 is the fourteenth weekly update containing links to selected articles, images, tweets and videos about opportunities—and challenges—for real estate investment and sustainable community development. Learn about me here. 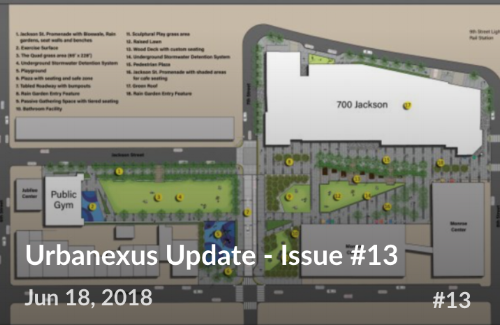 Urbanexus Update #13 is the thirteenth weekly update containing links to selected articles, images, tweets and videos about opportunities—and challenges—for real estate investment and sustainable community development. Learn about me here. 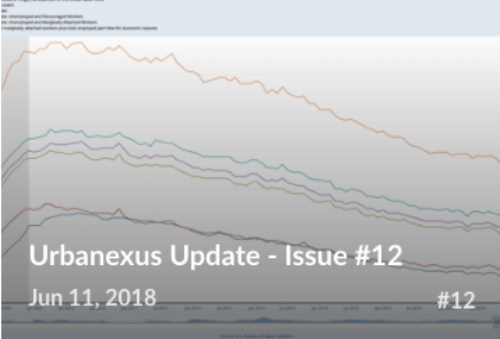 Urbanexus Update #12 is the twelfth weekly update containing links to selected articles, images, tweets and videos about opportunities—and challenges—for real estate investment and sustainable community development. Learn about me here. The broadest measure of unemployment in the USA is the U-6 unemployment rate. In addition to the recently unemployed who are actively seeking work, it includes discouraged workers who have quit looking for a job and part-time workers who would like to upgrade to full-time employment. This rate has gradually declined from a high of 17.1% in April 2010 to 7.6 percent as of May 2018--the lowest data point for this rate since the U.S Bureau of Labor Statistics began tracking it in 1994. Click on the graph below to see sources and a brief explanation of the six unemployment rates published by the Federal Government. 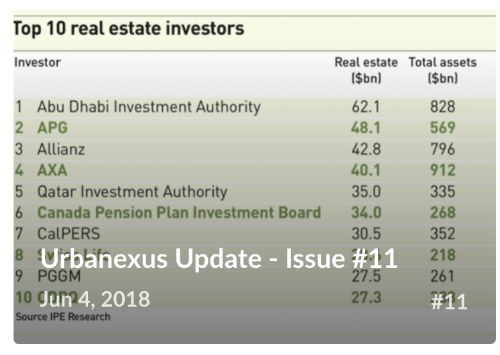 Urbanexus Update #11 is the eleventh weekly update containing links to selected articles, images, tweets and videos about opportunities—and challenges—for real estate investment and sustainable community development. Learn about me here. Urbanexus Update #10 is the tenth weekly update containing links to selected articles, images, tweets and videos about physical, social and economic conditions within and around metropolitan regions that shape opportunities–and create challenges–for equitable and sustainable real estate investment and community development.